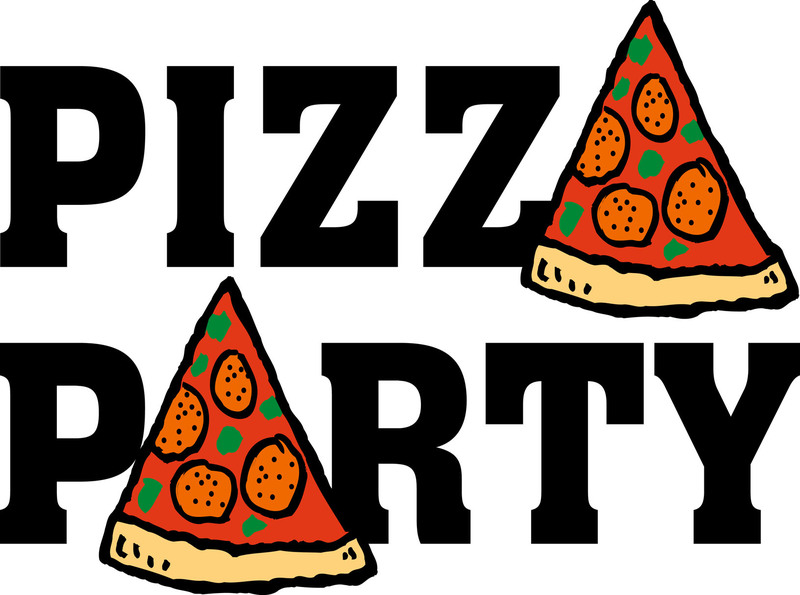 Don’t the words “Pizza Party!” just conjure up the most wonderful thoughts? Something to always look forward to in school. That and show-and-tell. And, obviously, on a more mundane, but absolutely necessary, level, lunch! My mom would pack mine. She would put sweet notes (and on the notes, she’d sign “Mom” and draw a happy face and curly hair on the “o” and I loved it.) in them and sometimes, little surprises. One time, she packed me space ice cream. SPACE ICE CREAM. How cool is that? Sidetrack! So, back to pizza. I think pizza is something to always look forward to. Like those surprise lunch notes and desserts I had. Sorry you didn’t get them. You’d have liked them. But you can enjoy pizza any time you want! 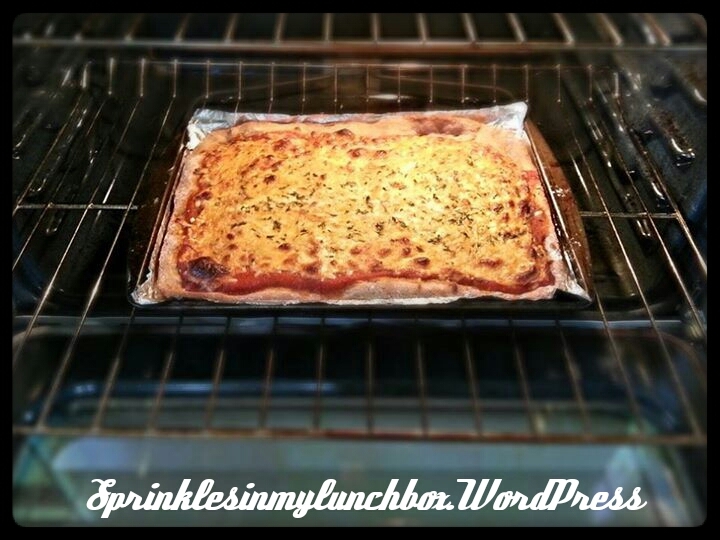 While I ADORE pizza from pizza restaurants (Pizza Hut is my favorite because the crust is so crunchy and almost caramelized from the butter…how could I not like that?! I also ate almost a whole Pizza Hut pizza by myself as I labored at home with my second son and I like to think it put me into labor. I also like pizza buffets because…yards and yards of pizza. 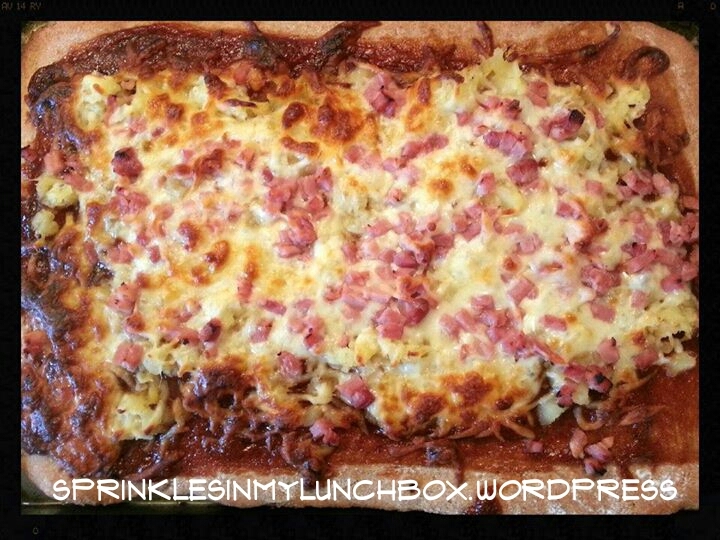 ), it’s fun to make pizza at home, too. I have a go-to recipe for a whole-wheat dough. It’s very easy and a delicious way to get my kids to enjoy whole wheat. I’ve also used it to make calzones and pizza pockets. I used to use the whole wheat and white fresh dough from our grocery store. 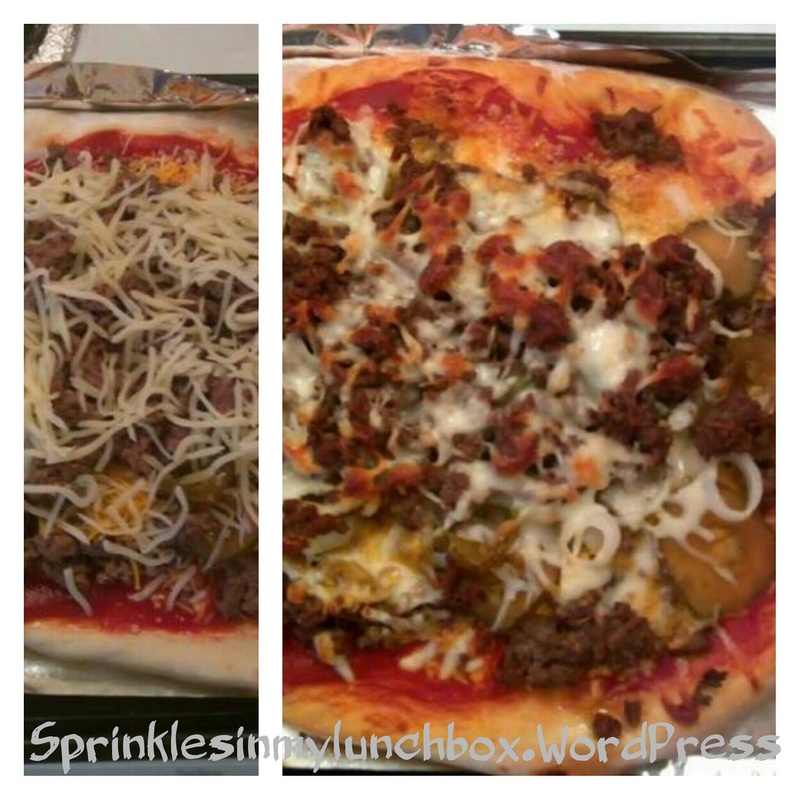 That always came out tasty, but since finding this recipe for the WW dough, it’s so easy to make my own…even easier than driving to the store to buy prepared fresh dough. 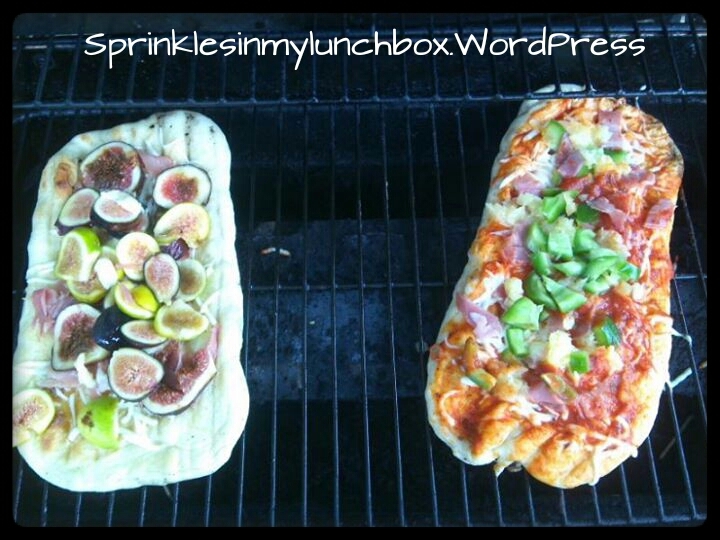 Grilled pizza – the left one has figs, garlic and honey & the right is fresh bell pepper, prosciutto, mozzarella cheese and red sauce. The only thing I do differently is use coconut oil in place of vegetable oil. I also use my locally harvested honey instead of sugar. And when I think of Pizza Fridays (I make a pizza most Friday nights for my family), I also think of something sweet to end the week. Because also I’m always thinking of something sweet. And chocolate chip cookies come to mind. 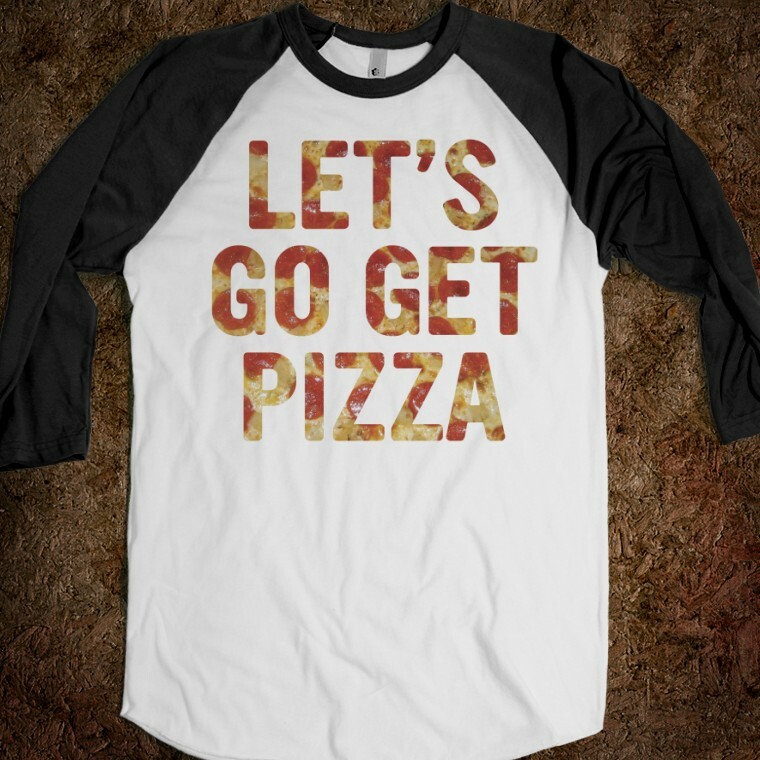 They sort of go with pizza. So does cake, like the food of kid birthday parties past. But then, cake goes with anything. Focus, Kris. Focus. Let’s get ready to cruuuuumblllllle! I LOVE chocolate chip cookies and am always looking for new and exciting recipes of such to try! 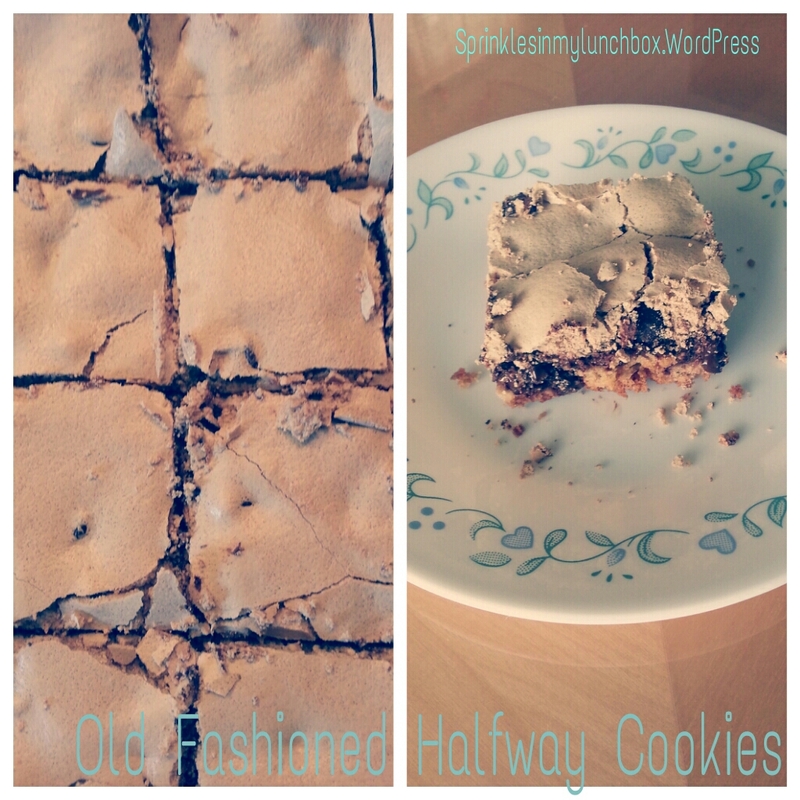 I have two kinds of bars that are sort of chocolate chip cookie-ish in flavor, but different. I could eat those until I pop. I’m pretty sure I did pop, the last time I ate them. And I didn’t mind. The second recipe that I think would go deliciously after pizza is a Halfway Cookie. It’s more like a bar. And a cookie. And cake. It’s all those wonderful things wrapped into one. Have you heard of these? My neighbor, who is a Grandmother and a dear friend, shared her Mom’s recipe with me ages ago for these. And I’ve also found them on the web. I have found them to be very similar to Mud Hen Bars, with the exception of marshmallows. These do not have marshmallows. And let me tell youuu, they are DELICIOUS. They have a layer of cookie as the crust (sort of like chocolate chip cookies without the chips), followed by a boat load of chocolate chips and topped with a baked meringue. Amazing. Please try them. It’s a very old recipe. And old is good. In most cases. Let me know if you make a pizza with that dough recipe! It’s so quick and fail-proof and delicious. 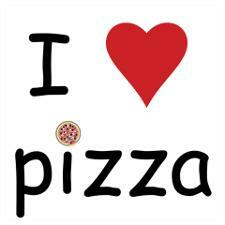 And if you don’t, I’ll give you a pizza my mind! Just kidding. I won’t. But do try it. And enjoy! 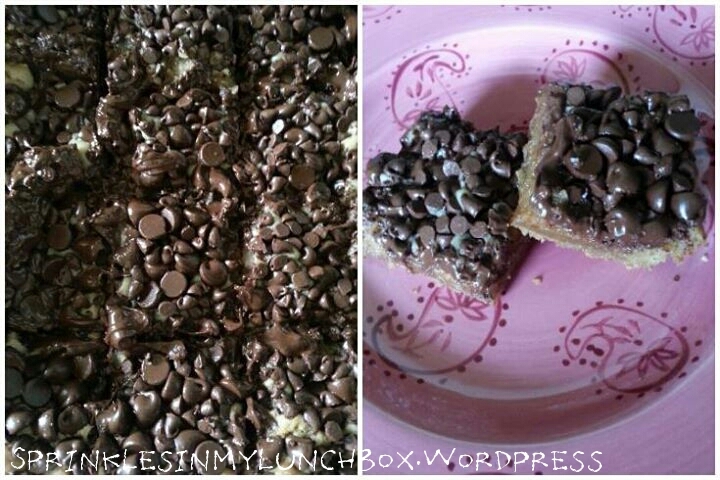 And please make some of these chocolate chip variations!